Value creation is a core operating principle for many of today's most successful and admired companies. But consistently achieving this outcome is not always simple or straightforward. To understand the potential sources of value for a corporation, a business leader needs an objective framework in order to analyze and evaluate the opportunities and risks that lie ahead. Corporate Valuation provides that framework. This program helps leaders master the advanced financial tools needed to compute the impact of strategic decisions on the value of their organizations. Armed with this insight, participants in this program will increase their ability to confidently take action in ways that will produce superior financial performance and generate market-leading results for their companies. Academic Director Michael R. Roberts says Corporate Valuation will help participants understand the cost of capital. In Corporate Valuation, you will learn how to analyze and evaluate the financial implications of strategic and operating decisions. You will learn the correct way to do financial modeling and how to identify and avoid potential pitfalls and common mistakes. The result will be better decision-making and a better understanding of your organization. By exploring the drivers behind value creation, you will acquire the requisite knowledge and tools to understand the impact of strategic, operational, and financial decisions on your organization’s ability to create value. You will gain increased clarity around the potential consequences of these decisions and leave this program equipped to apply this knowledge immediately to the business challenges facing your organization today. Having such financial insight can be particularly crucial if your organization is seeking a new infusion of investment capital or is at the crossroads of a major business decision such as a merger, an acquisition, a business restructuring, or a buyout. The tools in this program will help you develop a better understanding of the opportunities and risks inherent to some business decisions. Additionally, this program will help you become more effective at articulating to key stakeholders the implications of these decisions for your organization’s performance, competitive position, and opportunities for growth. As a result, you will be better able to communicate with chief financial officers, investment bankers, accountants, and other corporate finance professionals. 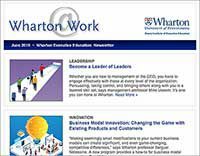 Corporate Valuation blends Wharton’s world-class academic rigor and quantitative analysis with practical, real-world applications. The program employs a host of instructional modalities to enhance the learning experience: in-class discussions, case work, small group breakout sessions, and role-playing. Overall, this program will provide you with a structured and highly engaging learning environment in which you will apply to real-world scenarios the concepts and tools presented by Wharton’s renowned finance faculty and distinguished speakers. Corporate Valuation is an advanced finance program designed for senior leaders already familiar with such concepts as net present value (NPV), internal rate of return (IRR), free cash flow, discounted cash flow analysis, return on investment, and cost of capital. Familiarity with Microsoft Excel is expected. Participants include senior-level executives, as well as those executives moving into roles with greater responsibility who need to strengthen their financial acumen and improve their ability to make strategic, operational, and financial decisions that generate value. Executives who are responsible for acquisitions, mergers, buyouts, divestitures, restructuring, budgeting, and planning will find this program curriculum particularly relevant and beneficial. There were multiple reasons I attended Wharton’s Corporate Valuation program. I wanted to continue to grow my financial acumen while gaining a comprehensive understanding of opportunities and risks associated with strategic decisions. Mergers and acquisitions have been a part of my company’s business strategy, so the corporate valuation component will directly help position me for the next phase of my career. I learned from the discussions and interactions with the other students and Professor Michael Roberts while evaluating different business cases. Corporate Valuation also examined different investment strategies, including acquisitions, mergers and buyouts, and how evaluation and analysis of financial statements can lead to a profitable decision. For me, education is the foundation of success. The insights I gained from attending this program will help me get to the next level." Corporate Valuation is my third Wharton program and by far the most valuable. It’s extremely important to what I do day-to-day since I dedicate 80 percent of my time to growth through acquisitions. A top takeaway was learning a new way to assess the cost of capital — understanding both the operational and financial components. Cost of capital was something that I’ve always taken for granted over my entire professional life over the last 28 years. For Europe, we have been using a cost of capital of 8 percent for a while. 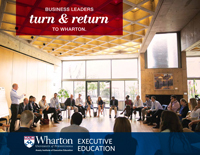 It [The Wharton program] was an eye opener for me. was an eye opener for me. I concluded that 8 percent was too much of an average. Now, I am applying what Professor Michael Roberts taught me for each one of the acquisition targets we are looking at, and am getting very different results. For example, we had an automotive target recently where using this more accurate valuation method enabled us to get a sales price 20 percent lower than what we would have done otherwise. We concluded the deal at that price. 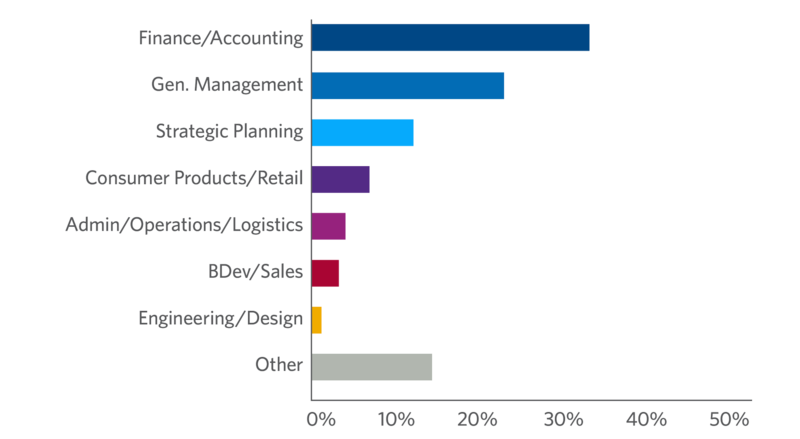 In the first year [after attending Corporate Valuation], we already got a major return on investment. I work for a private equity firm in Lima, Peru, and several of my colleagues are Wharton alumni, who encouraged me to attend this program. Corporate Valuation fit very well with my day-to-day activities at Nexus Group. My company’s focus is on buying attractive companies in the LATAM region — we need to pay the right price and we can only accomplish that through the right valuation methodology. At Wharton, I was exposed to great professors, a guest speaker from Morgan Stanley who shared his company’s approach to negotiation, and to a diverse mix of program participants. There were people from Finland, Mexico, Peru, and the U.S., and I still have contact with some of the program participants. Professor Michael Roberts not only taught us the theory, but he also applied it in case studies and shared his experiences advising real companies in the U.S. He was a great person for me to learn from and to go into deeper detail about corporate valuation and business strategy. Since returning from Wharton, I’ve used several of the program’s valuation and negotiation techniques, most recently while negotiating the buyout of a company with a presence in several countries in the region. 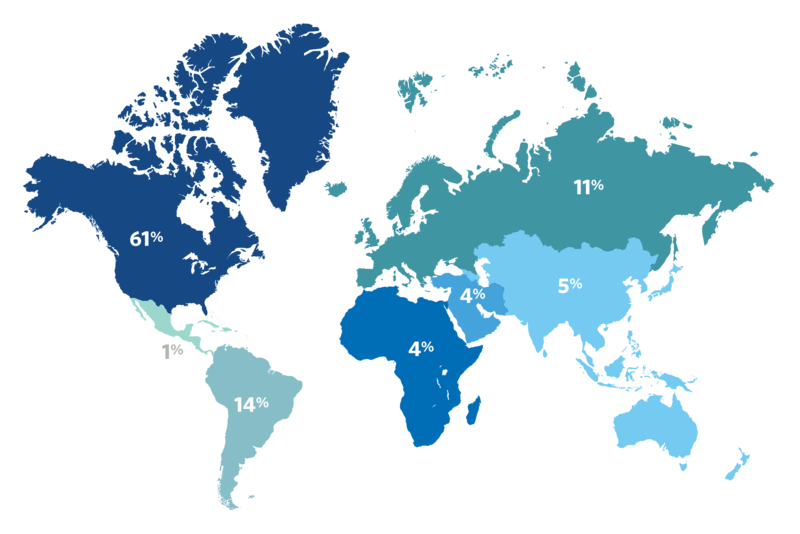 In emerging markets, investors have a greater risk, so they expect a greater return than in a developed market like the U.S. This concept was proven out in the program when a fellow participant from Finland and I shared our experiences evaluating and buying companies." Still considering your options? View programs within Finance & Wealth Management, Strategy & Innovation or use our Program Finder.